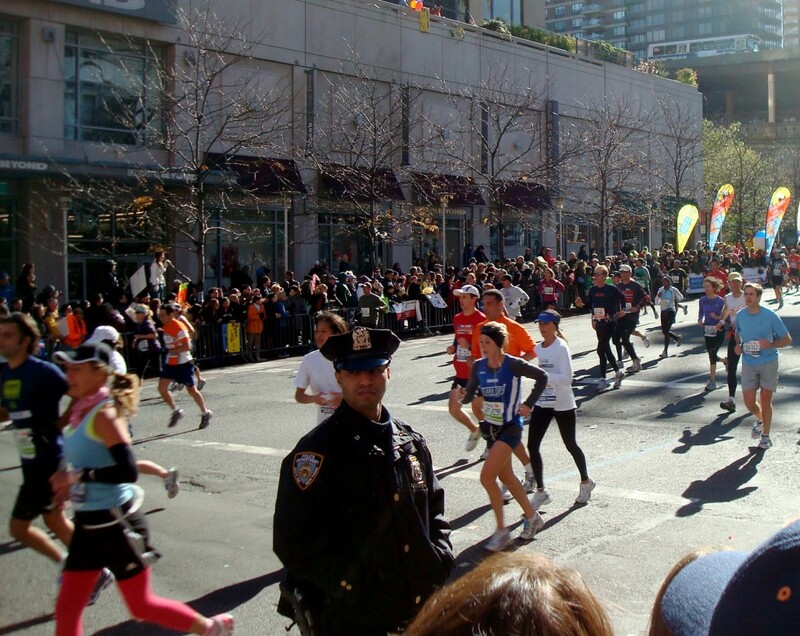 The NYC marathon always attracts a crowd and this year was no different. 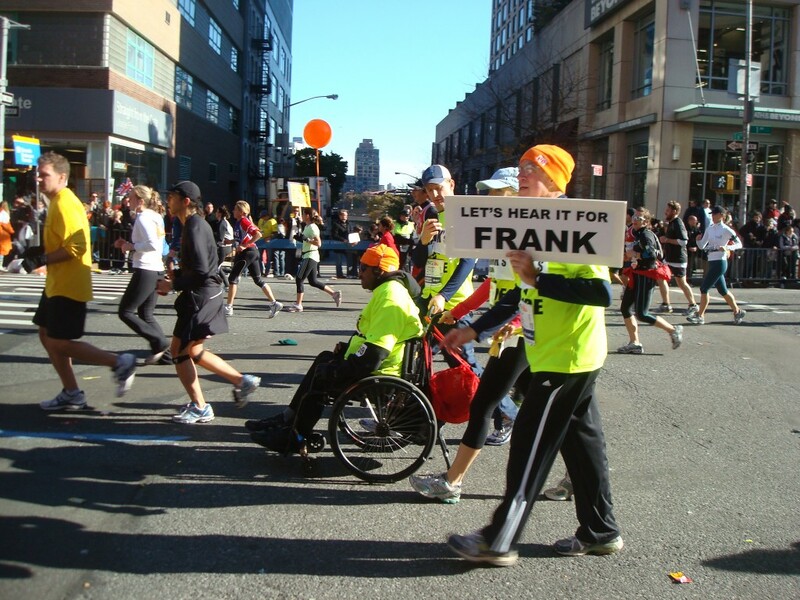 In addition to the 37,000 entrants, there were millions of friends, family and fans lined up to cheer on the racers, giving the entire city Marathon fever! 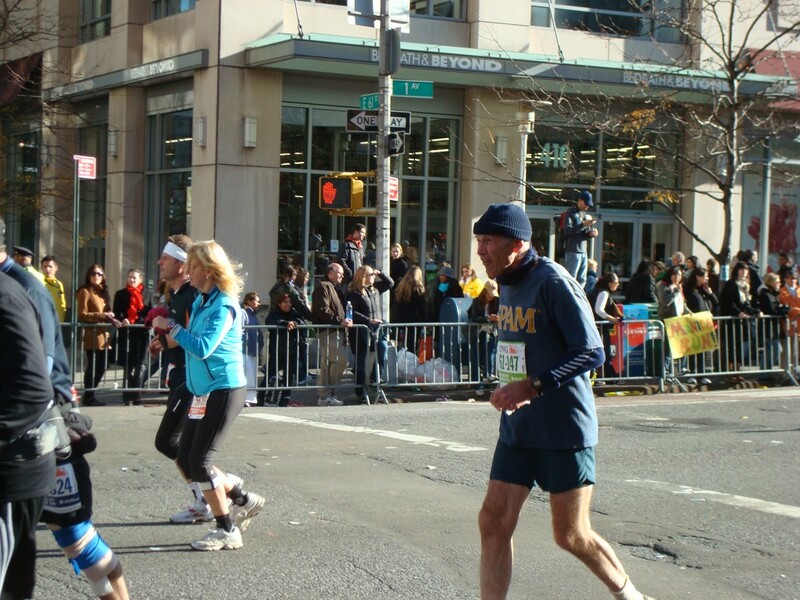 It’s hard to believe that it’s been a whole year since I ran the NYC marathon, but time flies when you’re having fun. And hey – it’s been a good year! This time around, I was excited to be a spectator. 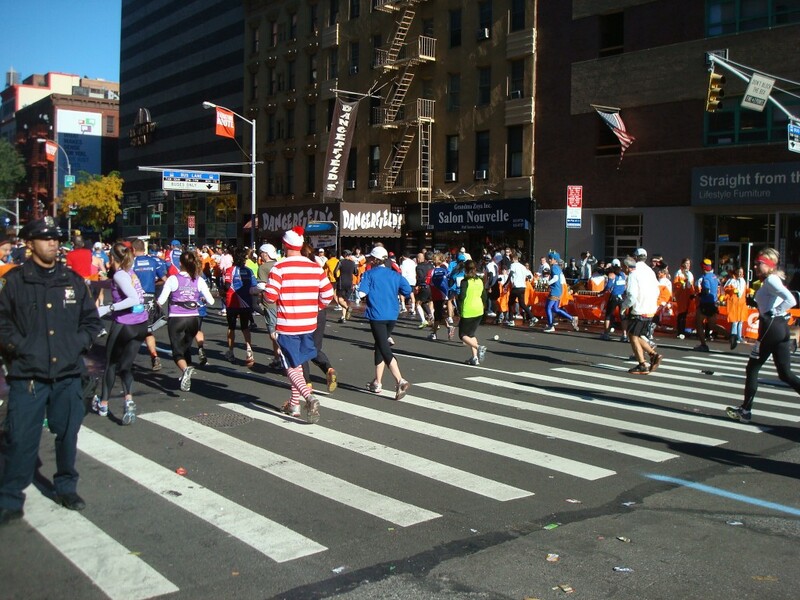 Being part of the crowd is almost as much fun as being in the race itself! It was a beautiful day and the positive energy was overwhelming. 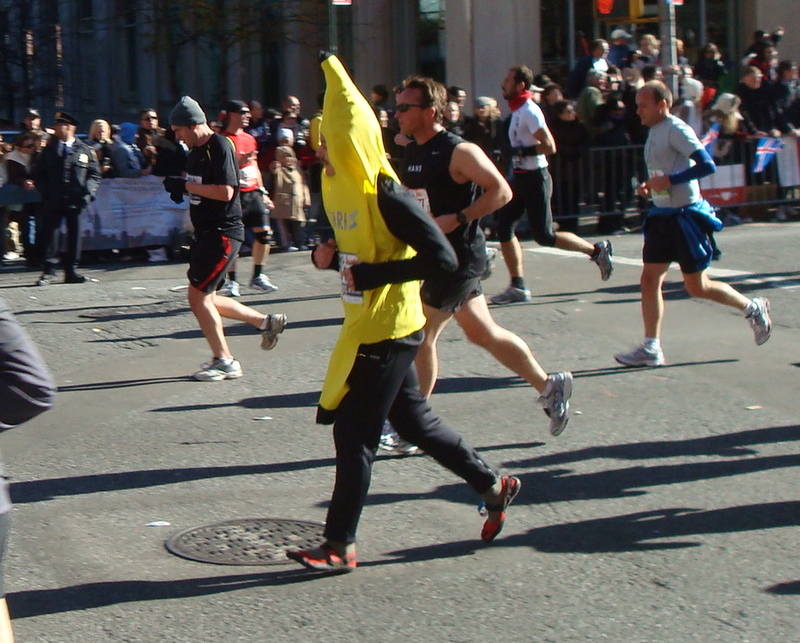 The popularity of distance running is undeniable and everyone is welcome to participate. 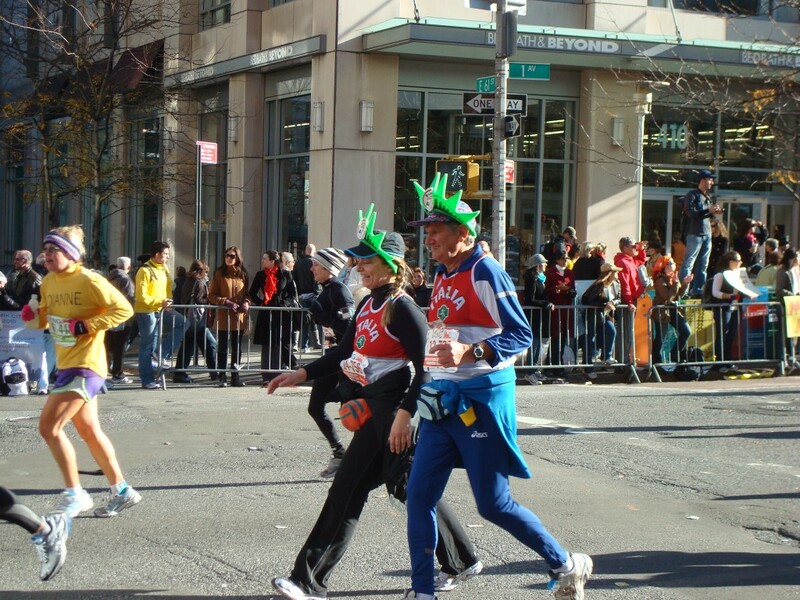 With entrants from all ages, nationalities and body types represented, it proved to me that anyone who sets their mind to it can run a Marathon. Age is just a number. So is 26.2. Heel striking in Vibrams? Oh and he's in a funny costume, too.